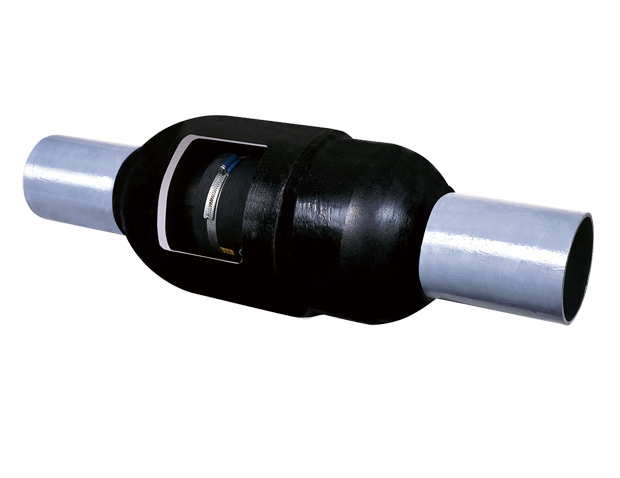 Temporary connection using a rubber sleeve eliminates gas leakage during welding and ensures safety. Easy installation due to simple structure of temporary connection portion. Small coupling main unit can minimize the total welding extension. Streamlined coupling main unit enables easy anti-corrosion treatment.